The application allows you to export contact information directly to Microsoft Outlook and Salesforce.Easy to Use, Straightforward InterfaceNo learning curve! ABBYY Business Card Reader intuitive interface guides you straight to the results you need. For example, you can scan and export new contacts to Microsoft Outlook with just one click. 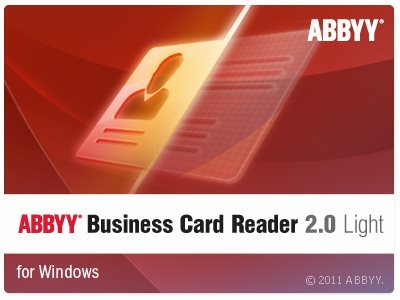 ABBYY Business Card Reader works with any TWAIN or WIA compatible scanner, multifunction peripheral (MFP) or any business card scanner. The product can also process card images captured by digital cameras or mobile devices.